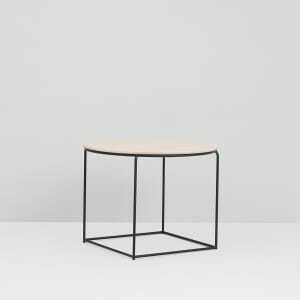 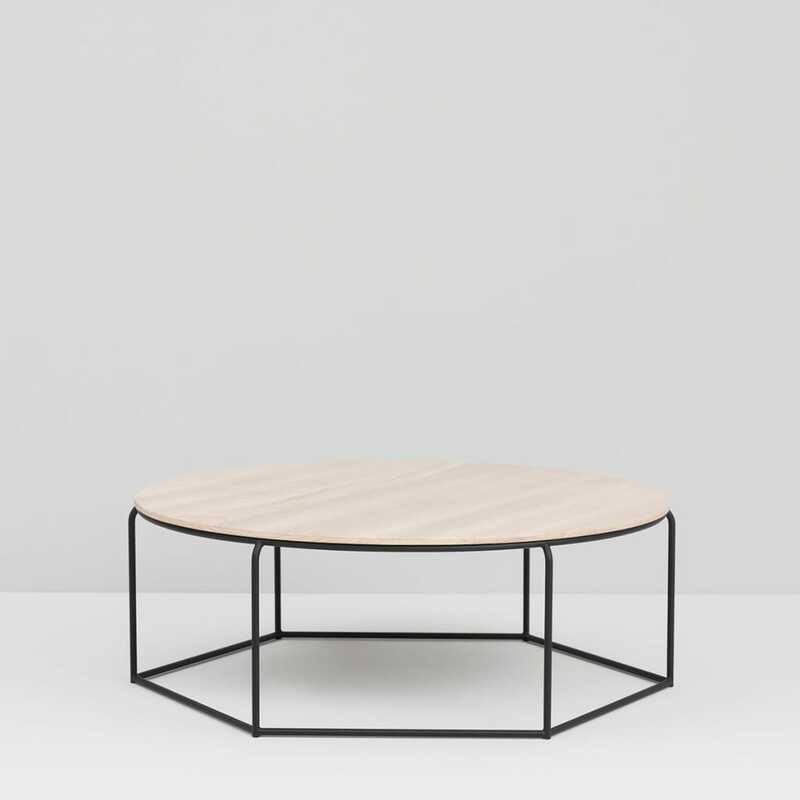 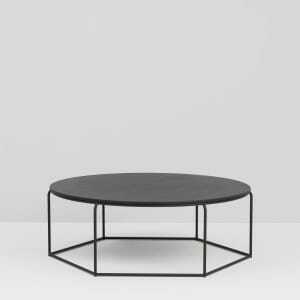 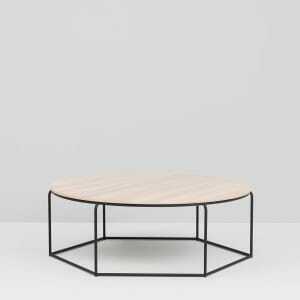 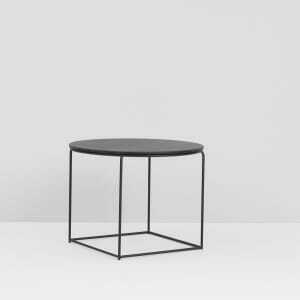 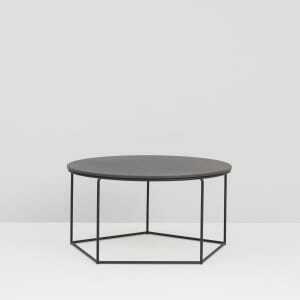 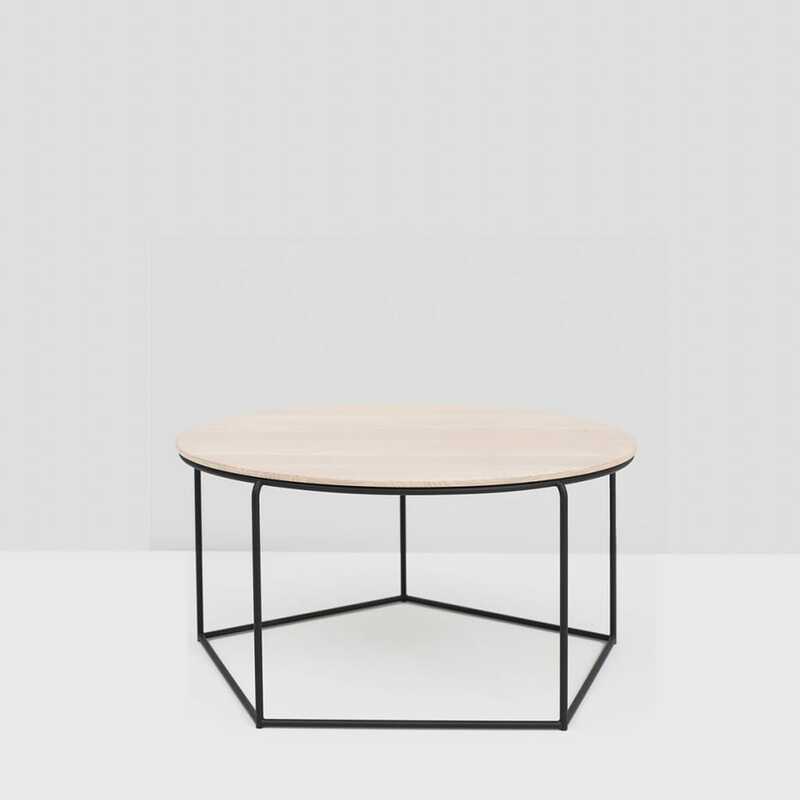 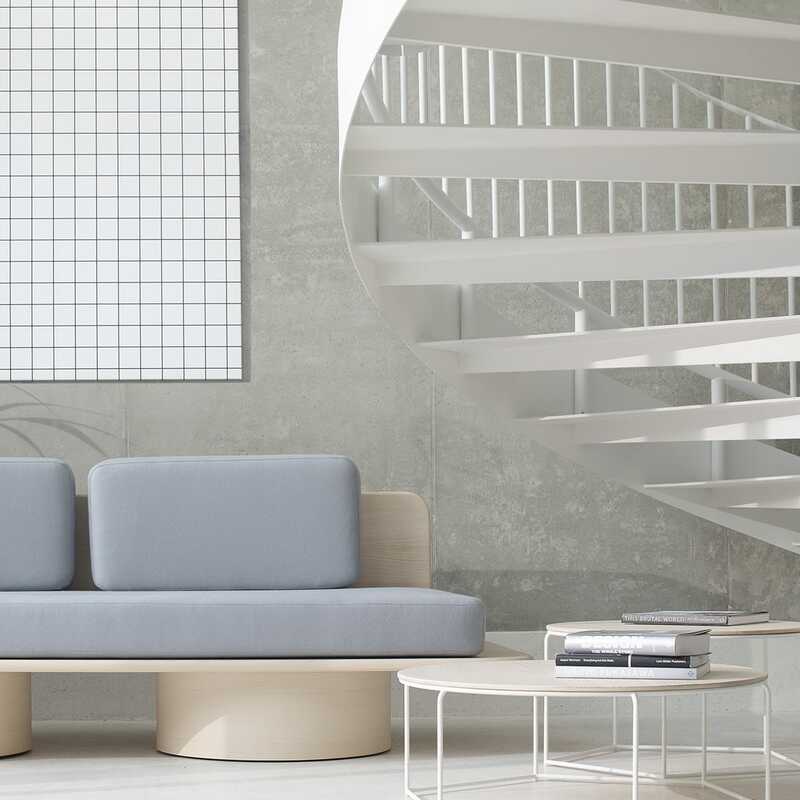 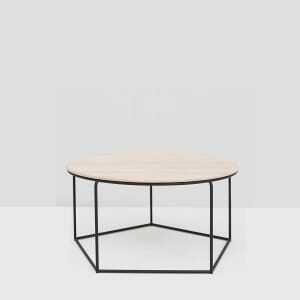 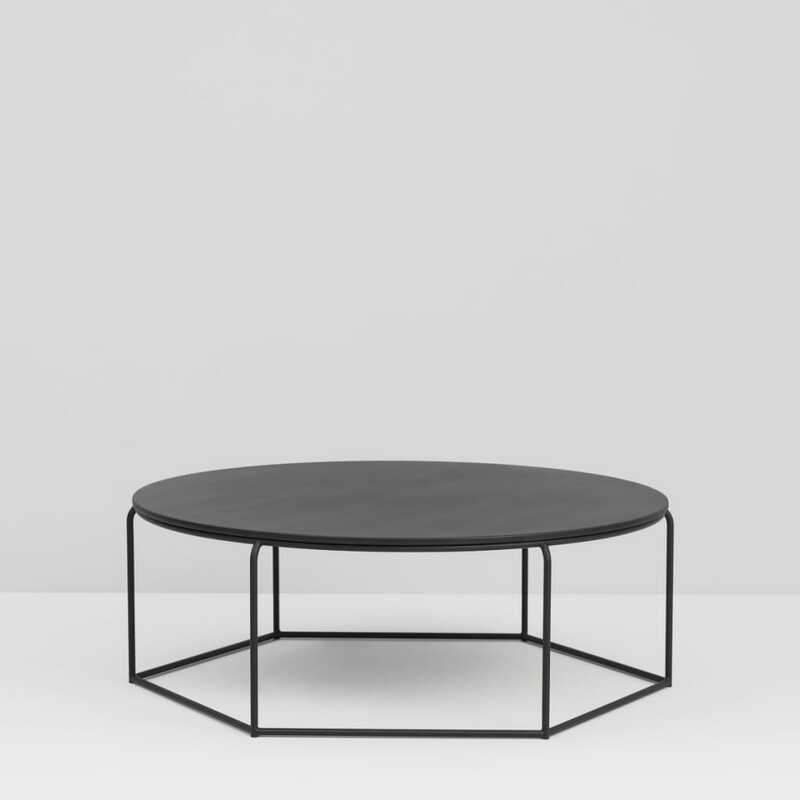 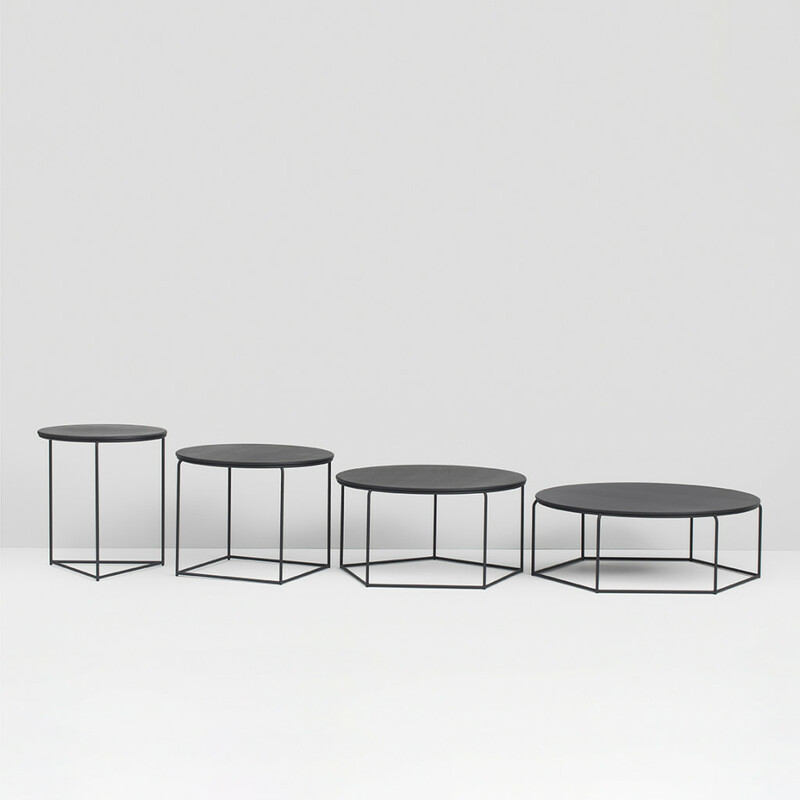 The collection of coffee tables typifies the ability of spatial positioning into compatible geometrical compositions. 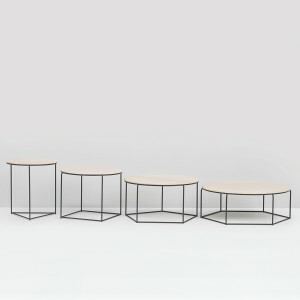 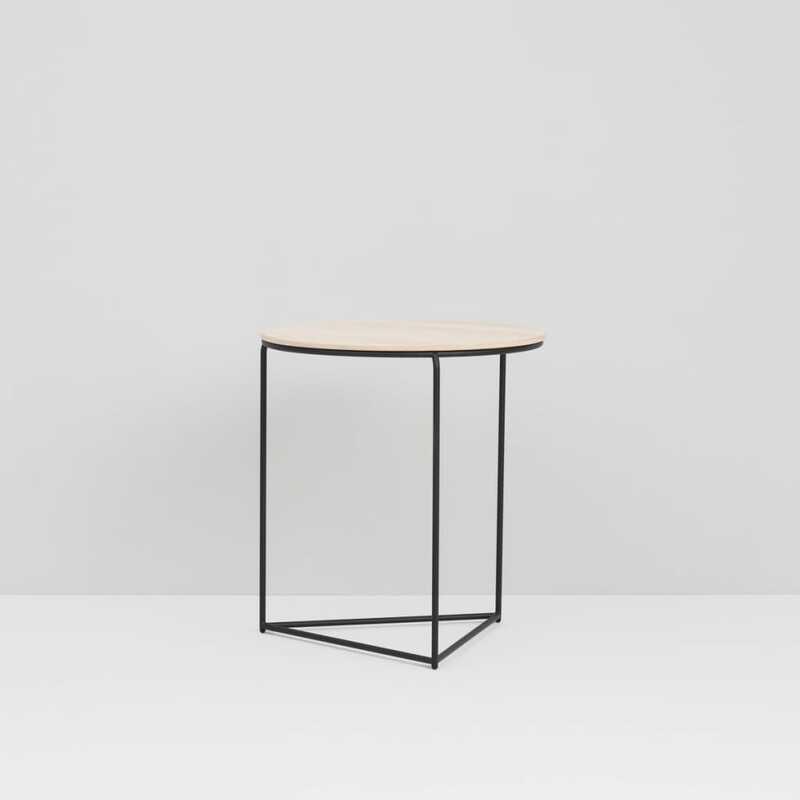 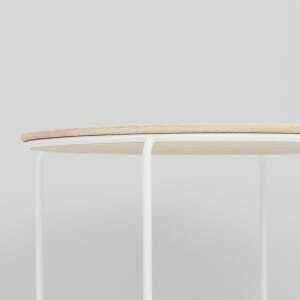 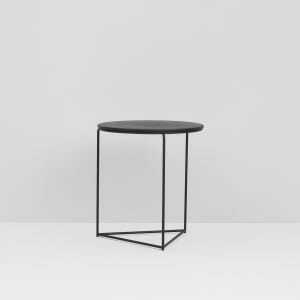 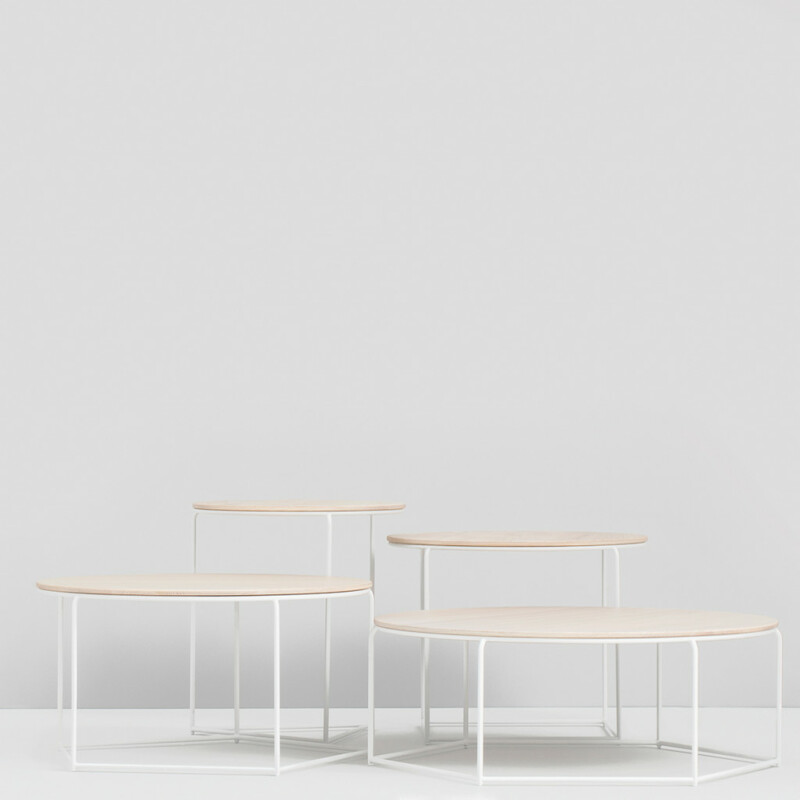 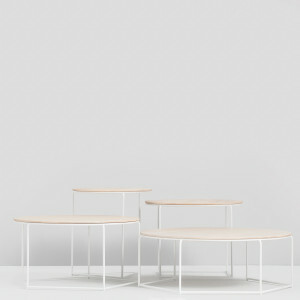 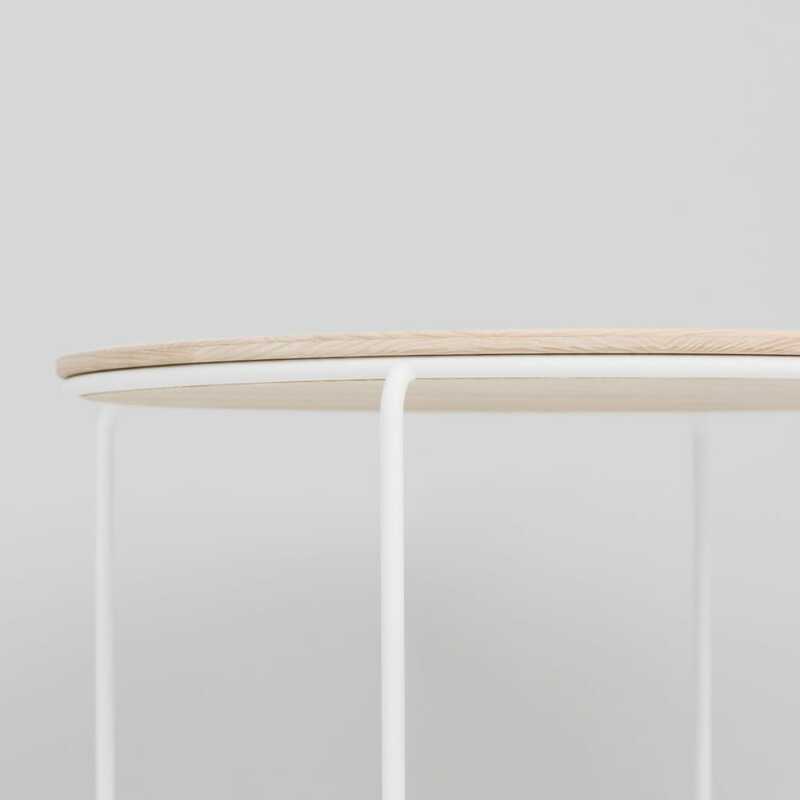 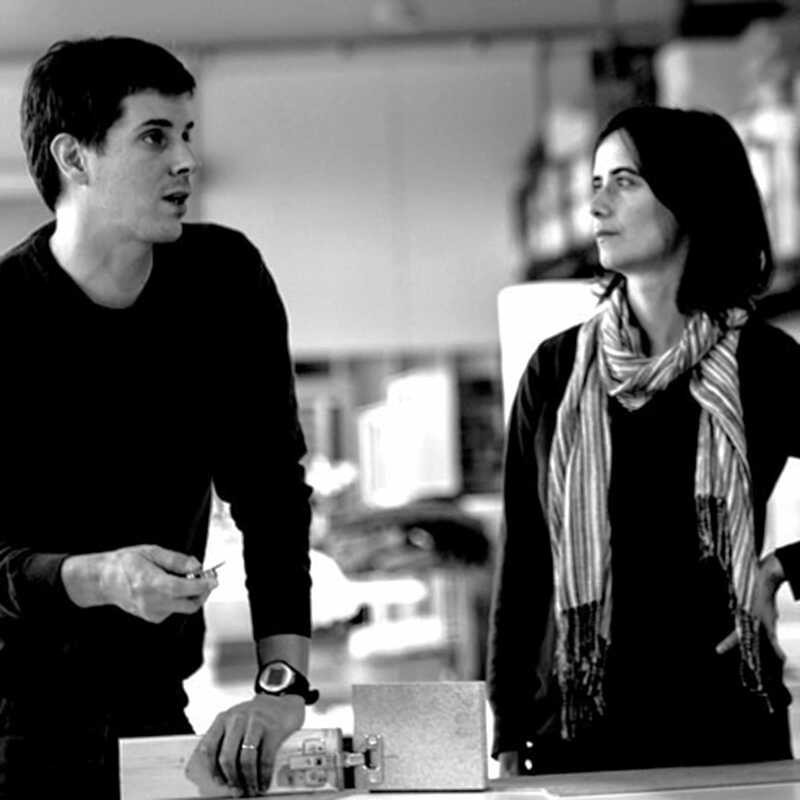 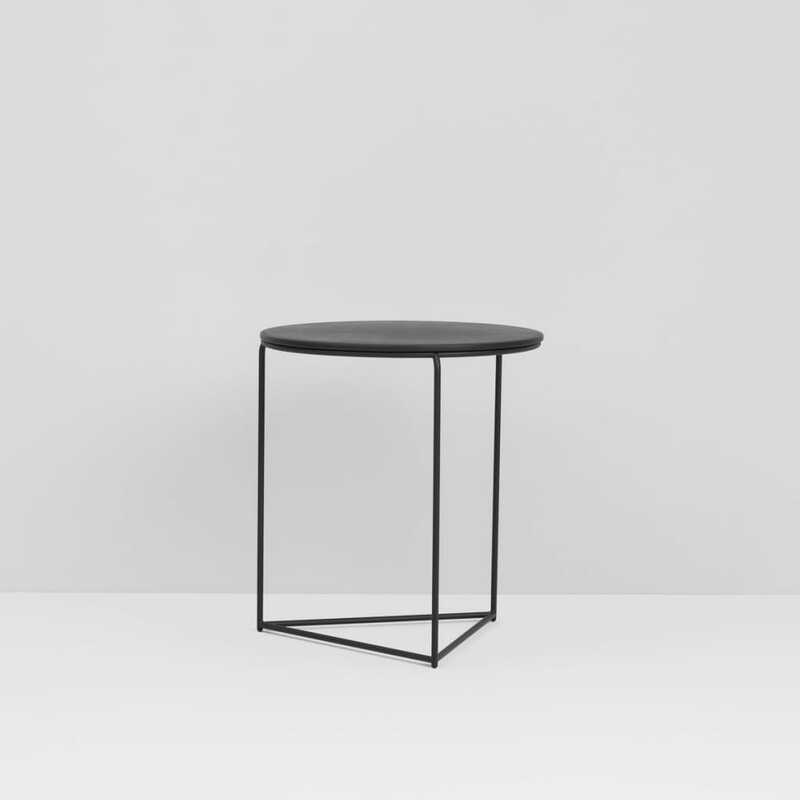 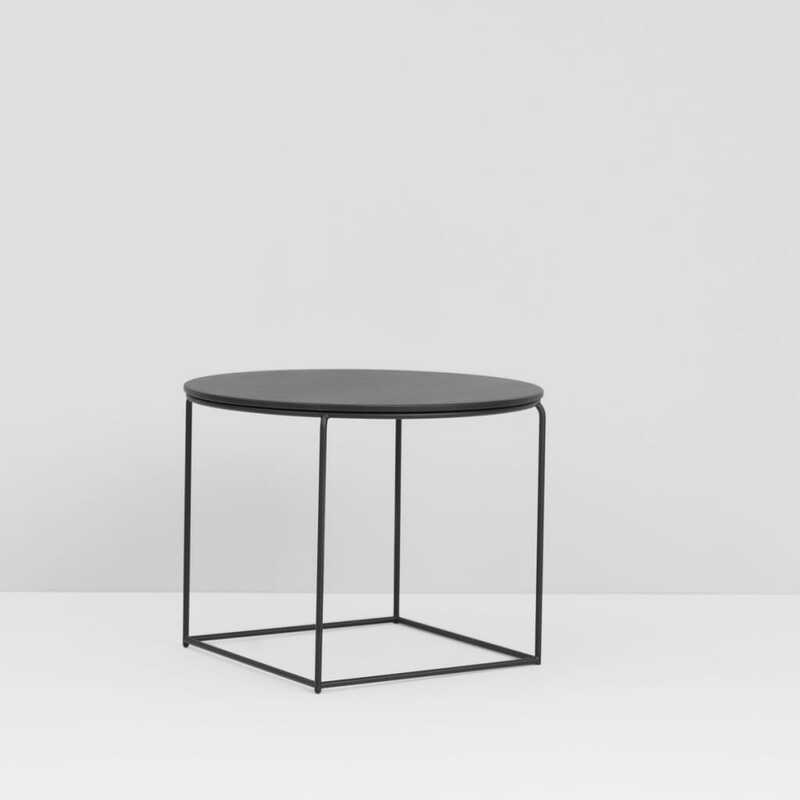 Simply joining two tables and aligning their base edges creates a desired appearance of the interior. 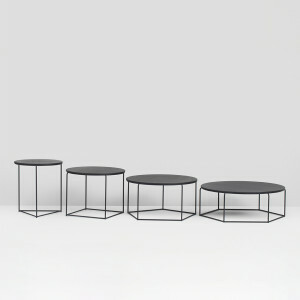 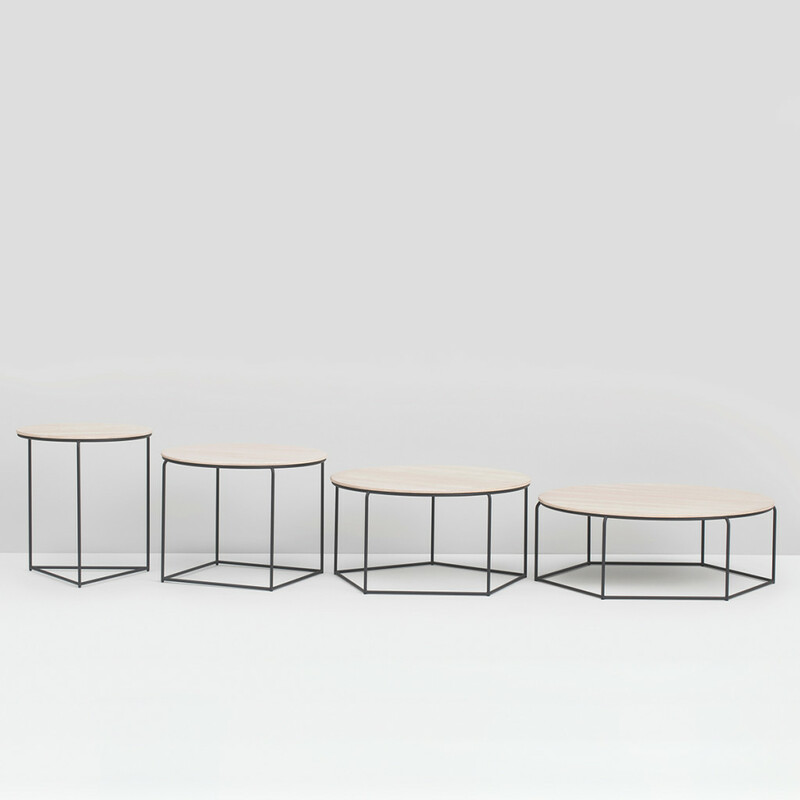 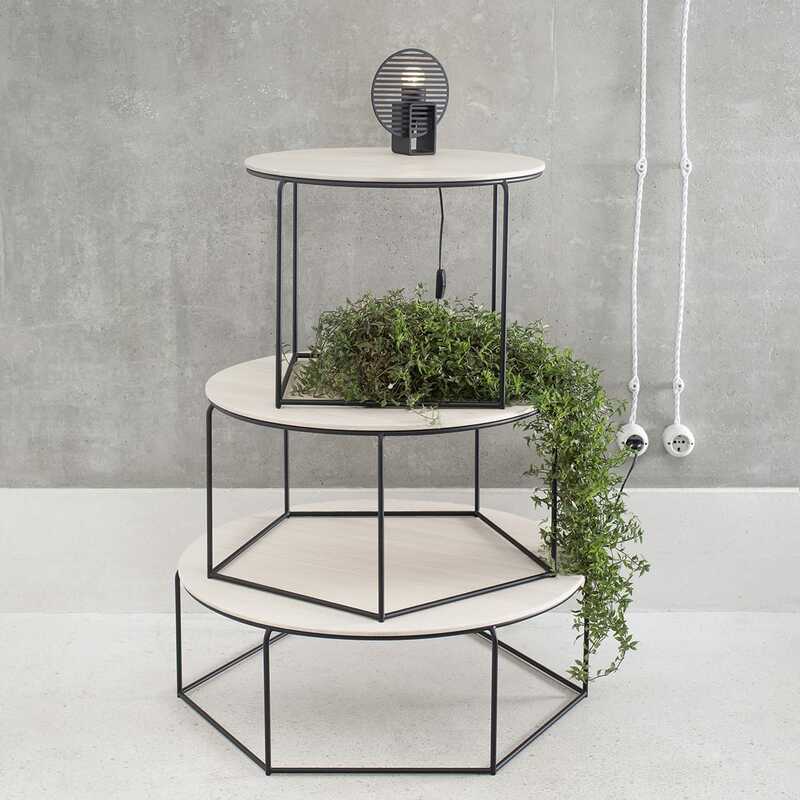 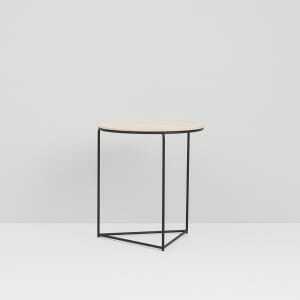 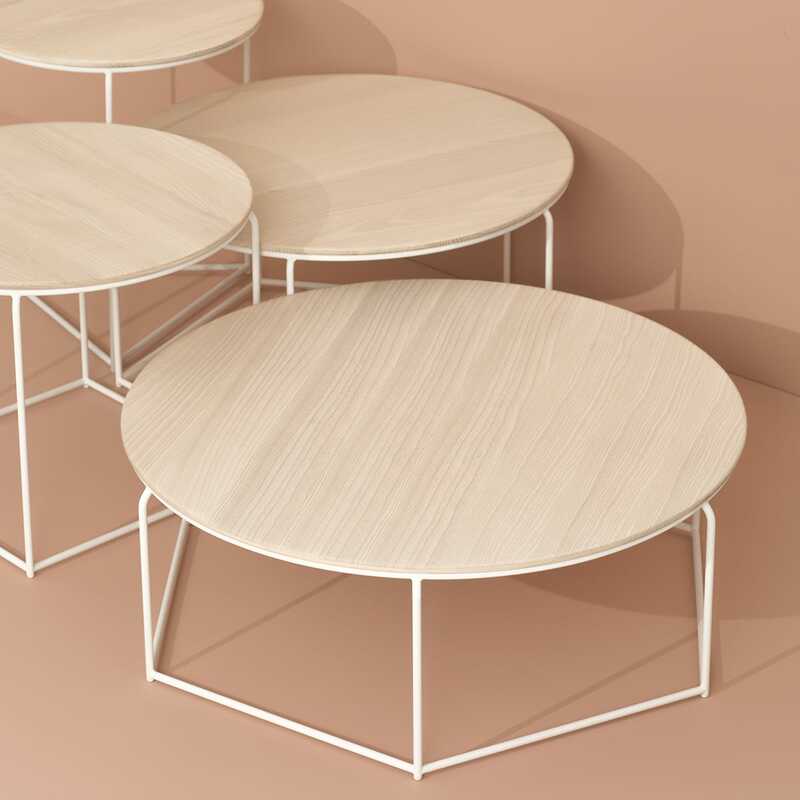 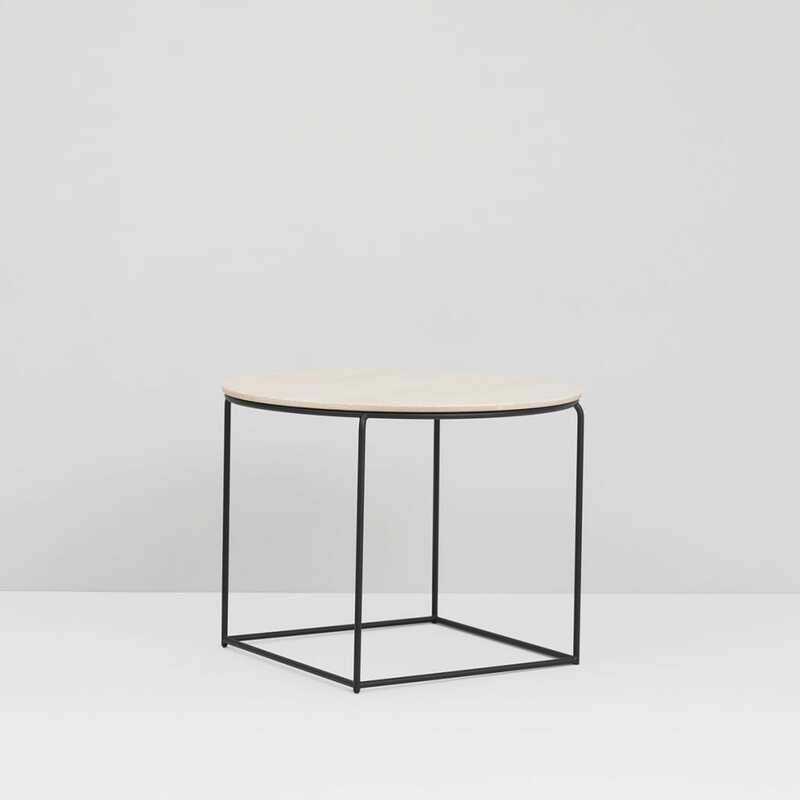 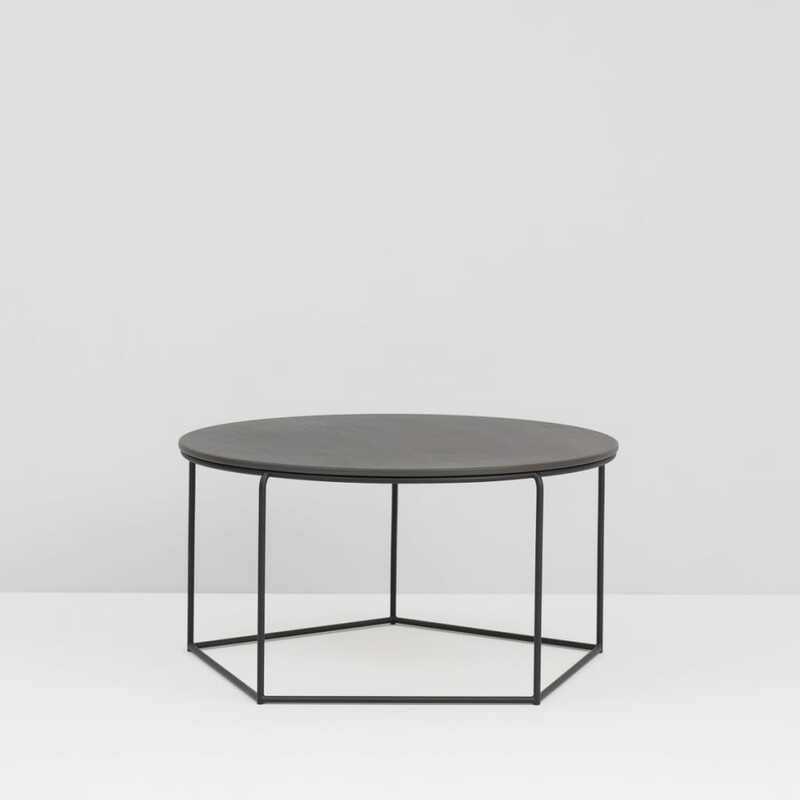 Set of four coffee tables of different proportions varies from a wide and low with a hexagonal base to a tall and narrow with a triangle base.